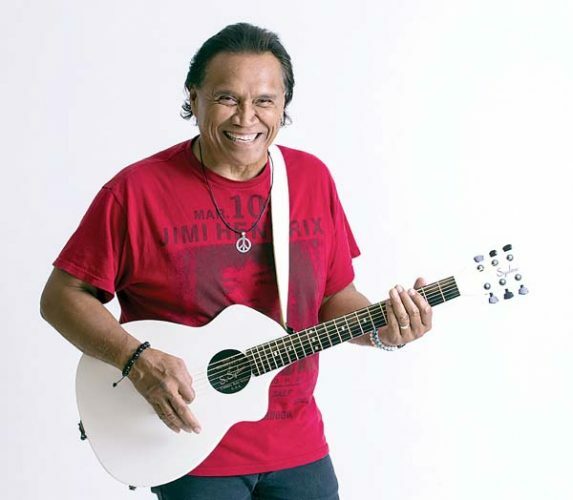 Today: Pi’ilani Arias/My Daze Entertainment, 5:30 p.m. in the bar. 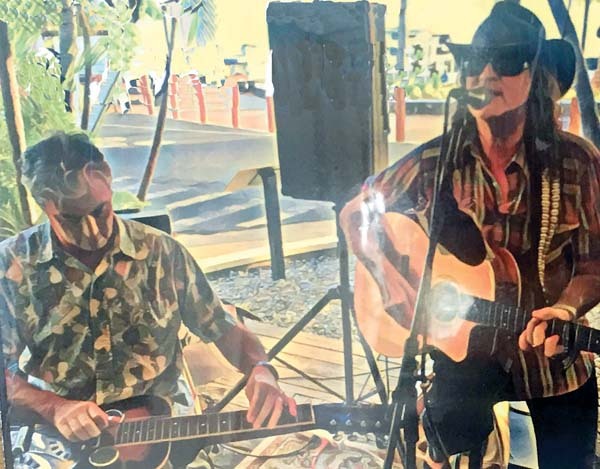 Friday: Kapali Keahi, 5:30 p.m. in the bar. Saturday: Gary Larson, 5:30 p.m. in the restaurant; Dayan Kai, 6 p.m. in the bar. Sunday: Gary Larson Duo, 9 a.m. to noon in the restaurant; Joseph Chee, 5:30 p.m. in the bar. Monday: Kincaid Kipahu, 5:30 p.m. in the bar. Tuesday: Brian Haia, 5:30 p.m. in the bar. Wednesday: Kalani Smythe, 5:30 in the bar. Today: Ben DeLeon, 3 p.m.; Garrett Probst and Keali’i Lum, 6 p.m. Friday: Damien Awai, 3 p.m.; Damon Parrillo and Tim Osbourne, 6 p.m. Saturday: Keali’i Lum, 11 a.m. (brunch) and 3 p.m.; Damon Parrillo and guest, 6 p.m. Sunday: Garrett Probst (brunch), 11 a.m.; Keali’i Lum, 3 p.m.; Damien Awai, 6 p.m. Monday: Keali’i Lum, 3 p.m.; Danyel Alana and Don Lopez, 6 p.m. Tuesday: Ben DeLeon, 3 p.m.; Roy Kato and Danyel Alana, 6 p.m. Wednesday: Fausto Allosada, 3 p.m.; Malanai, 6 p.m.
Today: Keali’i Lum, 2 p.m.; Damon Parillo and friends, 6 p.m. Saturday: Kawika Lum Ho, 2 p.m.; Danyel Alana and friends, 6 p.m. Monday: Ua Aloha Maji, 2 p.m.; Keali’i Lum and friends, 6 p.m. Wednesday: Danyel Alana, 2 p.m.; Ernest Pua’a, Roy Kato and Kamuela Hamakua, 6 p.m.
Today and Saturday: Luau Stew, 6:30 p.m. Friday: Shaun Mac Band, 8 p.m. Sunday and Monday: Benny Uyetake, 6:30 p.m. Tuesday and Wednesday: Sam Ahia, 6:30 p.m.
Point Lounge, music from 3 to 5 p.m. Today and Tuesday: Will Hartzog from Jasmine Rice. Friday, Sunday and Wednesday: Peter deAquino. Saturday: Brian Massa and Meryl Yecies. Monday: David Wolf. Dining Room, 5:30 to 8:30 p.m. Today through Saturday and Wednesday: Ranga Pae. Sunday and Monday: David Wolf. Tuesday: The Benoits. 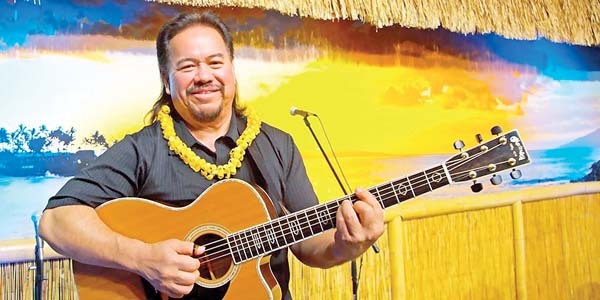 Sunday brunch with Ben Deleon, 10 a.m. to 1 p.m.
Sea House Restaurant: Today, Friday, Saturday and Wednesday: Fausto Allosada, 7 to 9 p.m. Sunday, Monday and Tuesday: Albert Kaina, 7 to 9 p.m. Aloha Pavilion: Wednesday: Hawaiian slack key guitar master Led Kaapana, featuring Peter deAquino, Sterling Seaton, Max Angel and Wainani Kealoha. Doors open at 6:45 p.m., show starts at 7:30 p.m. Preshow dinner is at 5 p.m. at Sea House with show package available. Call 669-3858 or visit www.slackkeyshow.com. Today, Saturday and Monday: Kenny Roberts, 5 p.m. Friday: Mike Finkiewicz, 5 p.m. Sunday and Wednesday: Pete Sebastian or Peter Hamilton, 5 p.m. Tuesday: Randall Rospond, 5 p.m.
Today and Tuesday: Karaoke, Friday: Dat Guyz, 9:30 p.m. Saturday: DJ Double K. Sunday: Industry Night Karaoke, 8 p.m. Monday: Karaoke, 8 p.m. Wed-nesday: Open Mic. Start time 9 p.m. unless otherwise specified. Thursday: Brooks Maguire, 6:30 p.m.; Friday: Kaina Country, 7 p.m. Saturday: Makai Jazz, 6:30 p.m. Sunday: Celtic Tigers, 7 p.m. Monday: Closed. Tuesday: Magic show, 6:30 p.m. ($5); Open mic comedy, 9 p.m. Wednesday: Willie K Dinner Show, 6:30 to 8:30 p.m. Reservations required, call 250-8288. 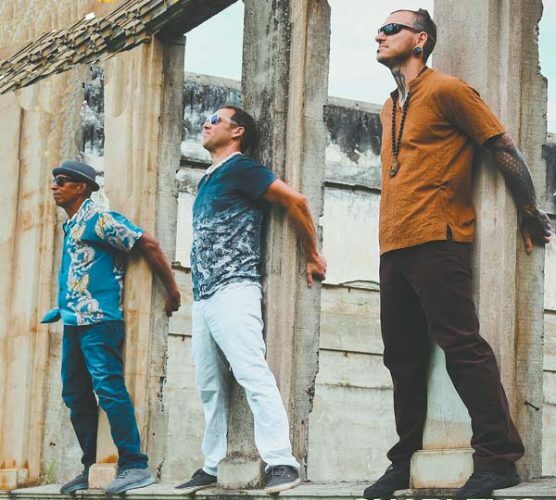 Kaleo Philips opens at 5:30 p.m.
Friday: Anthony Pfluke 6 to 8 p.m. Sunday: Kaulike Pescaia, 5:30 to 7:30 p.m.
Today: Mark Johnstone and Friends, 6:30 p.m. Friday: Flat Jackson, 9:30 p.m. ($10). Saturday: No bands scheduled — just good fun. Monday: Charley’s Live Band Open Mic & Jam, hosted by Nick Sickles, 7 p.m. Tuesday: Tom Conway, 6:30 p.m. Wednesday: Justin Morris & Nick Sickles, 6:30 p.m.
Saturday and Sunday: Jazz, blues, Hawaiian music, 2 to 6 p.m.
Today and Saturday: Karaoke with Brant Quick, 9 p.m. Friday: Sunburn, 8 p.m. $5, plus 50 cents added to drinks.